How much are utility costs in Temecula? We get this question a lot from home buyers that are considering moving to Temecula. 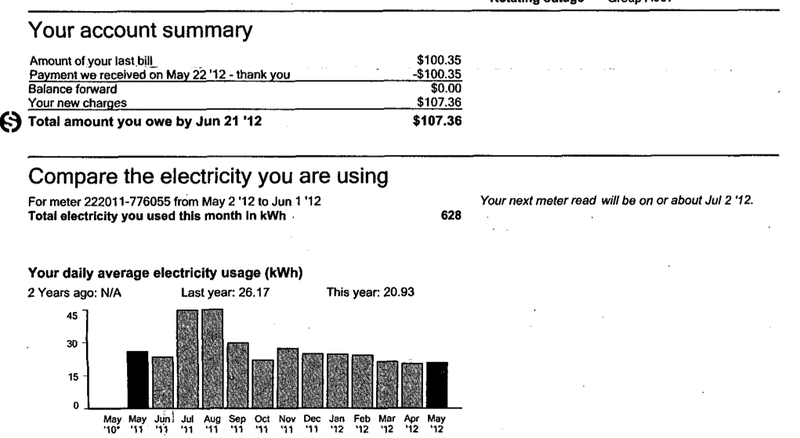 Perhaps the simplest and quickest way is to share our electrical utility bills over the past 12 months. We live in south Temecula close to rainbow gap where the mountains are perpendicular to the ocean. We always have a breeze coming in during the afternoon. Our home, from 1999, is 3,600 square feet and we are 4 adults in the home. Oh yes, we have several TVs, lots of computers, 2 refrigerators and a pool/spa. Here’s our Temecula electrical utility trend and the average monthly cost is around $100. During the two warmer months in the summer our Temecula utility bills pretty much double due to A/C usage in the afternoon. What about water and gas? We have a smaller yard of about 8,000 sf and it backs to a golf course. Our Temecula utility bills water/sewer average around $55-$75 monthly, and our gas bill is around $20 per month, with exception of the two colder months when it’s about $100.